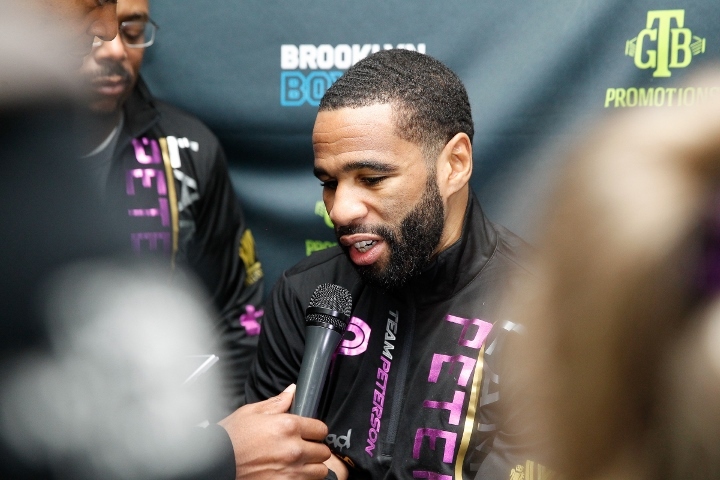 Having not fought since a one-sided stoppage loss to Errol Spence Jr. last January, Lamont Peterson wasn’t ever left with much choice but to reflect over the past 14 months on what went wrong that night. Coming to grips with defeat wasn’t as important, however, as getting to better understand his body to determine just how much further along the 35-year old can go in the sport. “Honestly, we just wanted to rest my body; it’s been a long career,” Peterson (35-4-1, 17KOs) said of the extended ring break heading into Sunday’s PBC on FS1 headliner versus Sergey Lipinets (14-1, 10KOs). “I’ve been boxing for 25 years, professionally for 15 years pretty much straight through. Only injuries held me back. The former two-division titlist believes there’s no time like the present to embark on the next stage of his career, with aspirations of making another run in a loaded welterweight division. Peterson moved up in 2015, beginning with a catchweight bout versus then-unbeaten Danny Garcia when both were still 140-pound titlists. A narrow points loss didn’t deter him from remaining above the super lightweight limit, facing and barely beating Felix Diaz—at the time an unbeaten 140-pound contender—later that year, sitting out all of 2016 before resurfacing in a 12-round win over David Avanesyan in their Feb. ’17 Showtime-televised clash to claim a secondary version of the WBA welterweight title. The reign was short lived, vacating the belt in order to challenge for the one in Spence’s possession. The night proved physically taxing, with Peterson suffering a knockdown and a seven round-long beating before his career-long trainer Barry Hunter—by whom he and his younger brother Anthony were rescued from homelessness as youths—decided seconds into the eighth round that his fighter was done for the night. That decision likely added years to Peterson’s career—and to his health in general. “I’m always going to respect his decision,” Peterson says of Hunter’s call to stop the fight. “I know that he cares about me, not a fight. So, any decision he makes I’m going to be all for it. Of course for me, if you listen to fighters, we want to go. Fourteen months later, Spence is still standing tall among the welterweight elite. Peterson, at the very least, has a new perspective on his own career.